As an explorer, Cayman statesman, and connoisseur, Hugh Houston Hutchings knew how to live life to the fullest. He could regale rooms for hours with tales of his exploits, test wits with dignitaries and smugglers alike, and lavish friends with exotic finds from around the globe. Our series of liqueurs pays homage to his adventurously good taste. Infused with rich, fresh flavors then perfectly balanced by hand, they make each cocktail an experience. 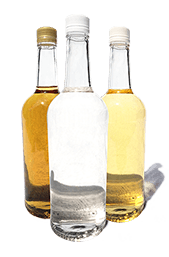 Discover our premium H. H. Hutching’s Liqueurs below. Our Triple Sec brings your cocktails to life with carefully balanced sweet and bitter flavors of ripe Caribbean oranges. This delicious and delicately-handcrafted cordial is infused with bittersweet almonds, imported spices, and pure cane sugar. Intense and flavorful, we’ve gone beyond the peach to make your cocktails stand to attention. Infused with fresh roasted Arabica beans, our Coffee Liqueur whisks your cocktails to distant Columbian mountain tops. Rich and vibrant, this handcrafted infusion bursts with fresh berry flavors and lends a bright, gently tart balance to your cocktails.